For the 2012 model year, the Chevrolet Corvette gets some minor performance, interior and feature tweaks. It will hit dealers late this summer. All Corvette models get new seat designs and a new steering wheel. The seats have larger bolsters — suede seat inserts are now an option on some trims, too. New seat designs are a welcome update; the old seats were lumpy and flimsy, according to Cars.com editor Mike Hanley. A padded center console and armrests are now included on all 2012 models. A leather-wrapped interior, with contrasting color stitching, is also a new addition. Chevy upgraded the optional Bose stereo, which now boasts nine speakers (over the previous seven). A new Technology Package combines navigation, head-up display, Bose stereo, Bluetooth and a USB port. Performance tweaks are relegated to the high-performance Z06 and ZR1 trims. The Z06 is now offered with the Performance Traction Management system, which optimizes traction for greater consistency in racing conditions. Previously, the system was available only on the ZR1. 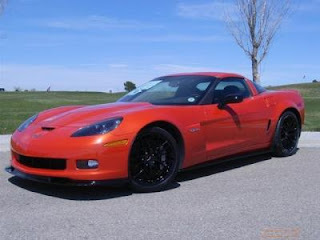 The Z06 is now offered with a self-leveling suspension system called Magnetic Selective Ride Control. Each trim can also be had with race-oriented Michelin tires that increase lateral acceleration by 8% and improve braking distances. A carbon-fiber hood now available on the Z06 improves gas mileage by 2 mpg on the highway when the car is equipped with a manual transmission. 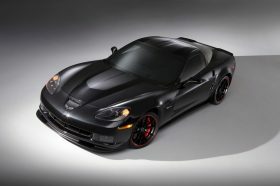 The 2012 Corvette goes into production in July and should be available at dealerships shortly afterward. Watch the Purifoy Chevrolet website for details to order the new car! Purifoy Chevrolet presented a $500 check to the Fort Lupton Rec Center to help support youth baseball in conjunction with Chevrolet's national youth baseball initiative. 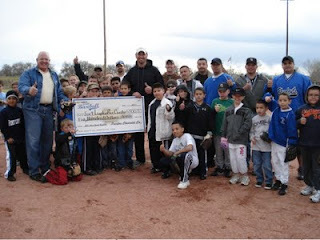 You can go to Chevybaseball.com to lend your support and be entered to win a new car and a trip to the MLB All-Star Game! CUSTOM 2011 Corvette Grand Sport - Supercharged!! 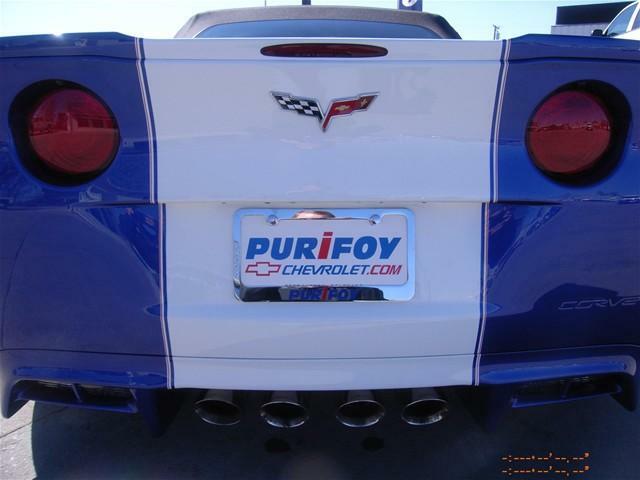 Purifoy Chevrolet is proud to unveil our newest custom Corvette!!! 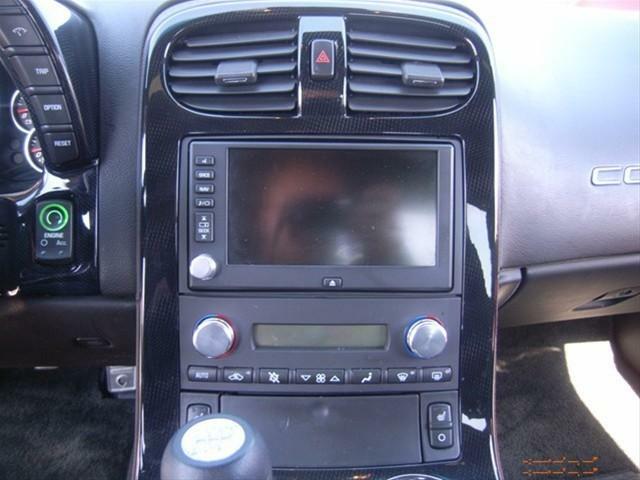 We started with a 3LT Grand Sport Convertible equipped with F55 Magnetic Ride Control and Navigation Radio. Then the bodyshop painted the car Admiral Blue with the white stripe and fender hash marks. A front splitter, side skirts, rear spoilet and lower diffuser were added to the car as well. 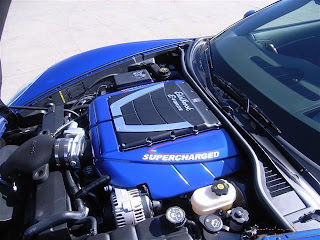 It that is not enough.... the service department added the Edelbrock E-Force supercharger that ups the horsepower to 599 and the torque to 547 ft-lbs. To make it sound as good as it runs, a Corsa exhaust was added. To finish the whole thing off, custom seats and door panels were added. Come see this car in our Indoor Corvette Showroom! Call or email to set up an appointment! 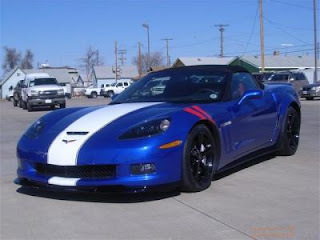 Purifoy Chevrolet will have a new Corvette on display at the West Denver Mainstreet Chamber of Commerce after hours at Club Auto Colorado tomorrow night. Stop by to check out the car and say hi! The Mainstreet Chamber is free to join. Z06 Carbon Edition cars IN STOCK! 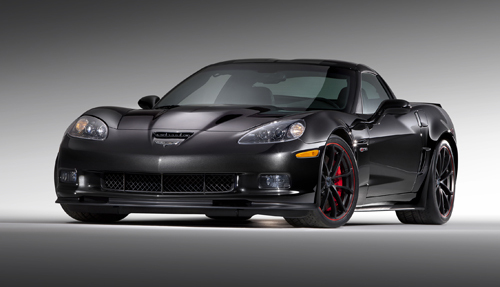 We now have two Corvette Z06 Carbon Edition cars in stock! We have an inferno orange car and a supersonic blue car! Stop by our indoor Corvette Showroom today to take a look! Finally available! 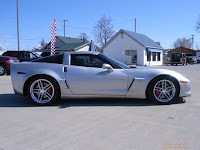 The real CARBON EDITION Z06!!! The limited edition car is in Supersonic Blue and is #71 of 500. 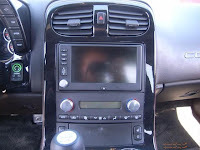 It features the 3LZ equipment package and navigation radio. The Carbon Edition package gives the car a carbon fiber raised hood, carbon fiber front splitter and side skirts, suede interior inserts, body colored stitching, black head lamps and outside mirrors, black ZR1 style wheels, and body color door panels. Contact Purifoy Chevrolet for more information, or stop by to see this amazing vehicle in person. The Centennial Edition also features special badges that signify Chevrolet’s racing history. A graphic logo featuring an iconic image of Louis Chevrolet appears on the B-pillars, the center caps of the wheels, and the center of the steering wheel. The seat headrests also carry an embossed centennial logo. 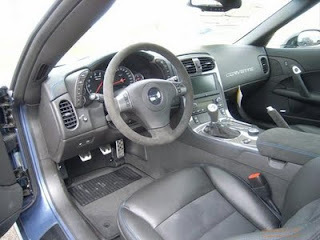 The exterior color scheme is reinforced inside the car, with the Ebony leather-wrapped instrument panel and doors complimented by red stitching on the steering wheel, seats, console and shifter. 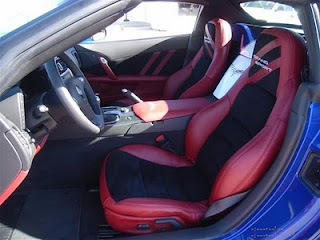 Microfiber suede accents on Centennial Edition seats, steering wheel, shifter and armrests were first used on the 2011 Z06 Carbon Limited Edition. 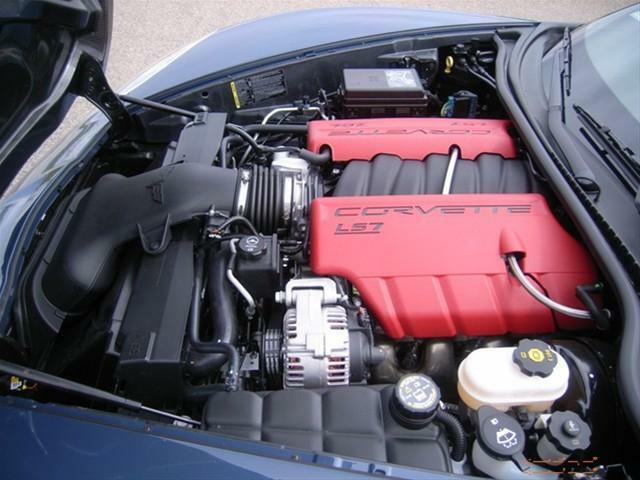 Learn more about the Centennial Edition Corvette at Purifoy Chevrolet. Corvette Plant to Stay in Bowling Green? Leftlanenews.com posted information pertaining to Corvette production staying in Bowling Green. Kentucky has recently approved a tax credit to encourage the plant to remain in Bowling Green. We will provide additional information as it is available. Hurry and take advantage now!! 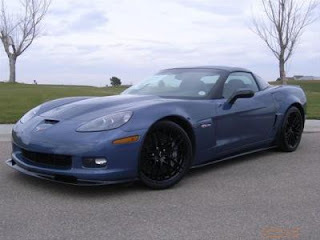 In these economic times, a super vehicle at a super price like this 2007 Corvette Z06 is more important AND welcome than ever!! This loaded 2LZ Z06 features navigaion, polished wheels, heated seats, memory package, custom door panels, shift and ebrake boot, steering wheel, and shift lever. There have been some performance upgrades done as well...... Callaway air intake, American Racing headers and performance clutch. This car is ready to go! 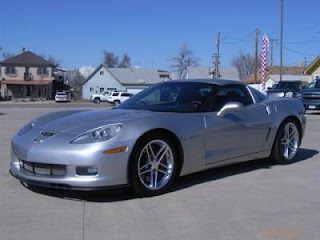 Come see it today in the Purifoy Chevrolet Indoor Corvette Showroom! 2011 Denver Auto Show a HUGE Success! Purifoy Chevrolet teamed-up with Michael Pettiford of Go 4 It Services racing school to put on a really nice display at the Denver Auto Show last week. We would like to thank everyone who stopped by! 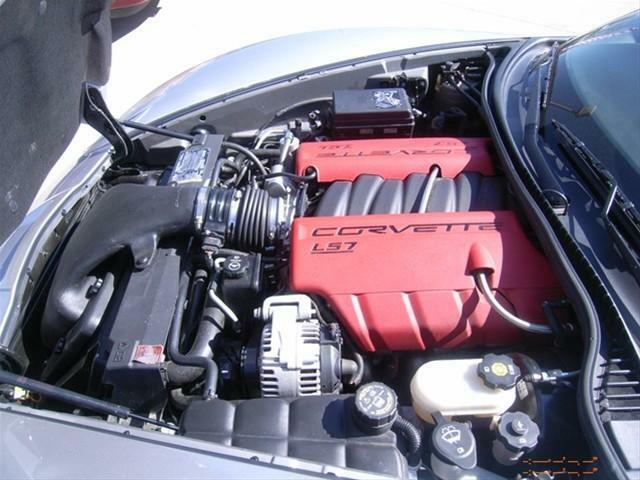 Incredible 2007 Corvette Z06 just in! Hurry and take advantage now!! In these economic times, a super vehicle at a super price like this 2007 Corvette Z06 is more important AND welcome than ever!! This loaded 2LZ car features navigaion, polished wheels, heated seats, memory package, custom door panels, shift and ebrake boot, steering wheel, and shift lever. There have been some performance upgrades done as well...... Callaway air intake, American Racing headers and performance clutch. This car is ready to go! Come see it today in our Indoor Corvette Showroom!